Himalayan rangelands, the crucial but by and large the neglected ecosystems, are an integral part of mountain farming systems. The present investigation is based on the extensive survey and collection of mid-altitude range plants from Almora and Champawat districts of Kumaun division in the Uttarakhand Himalaya in India, from September 2003 to June 2007. The rangelands studied were oak types, chirpine types, grass types and mixed ones. Some 300 species of grasses, other herbaceous plants, trees and shrubs were found in the mid-altitude rangelands. A sizeable number of species belonged to the family of Poaceae. The grass-dominated rangelands especially harboured a variety of grass species of good fodder value. The diversity of fodder plants is a proportion of the enormous biodiversity occurring in the parts of the Himalaya. 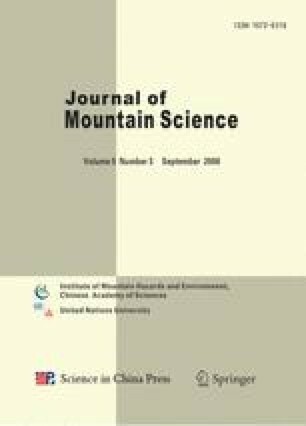 A panorama of the biodiversity emerged in this study, which is of both intangible value and direct value for the livestock-and rangeland-dependent mountain communities, suggests a very high scope of the utilization of this natural and uncultivated biodiversity for supporting livestock-based livelihoods of the region. This biodiversity also has enormous bearing on the cultivated area of the region.